Perths Best Value Home Alarm Systems Installed at a Great Price, With a Smile and Proper Training Every Time. Make your home less attractive to would-be thieves by installing an alarm system from $595. The sheer fact that you have an alarm is an instant turn off to the people scoping out your home while you are at work to see what they can pawn off for cash. Upgrade to a few more sensors and intruders will be alarmed to find that before they can even get in, you, the security company and the police are being notified of their presence. They will have to move on in a panic and not be given the enjoyment of going slowly through your things. This will limit any losses. Take it a step further with a full perimeter alarm and you can sleep at night with your alarm on. If anything should ever happen, you, your neighbours, alarm monitoring and the police can be notified if someone attempts to break in. This will give you time to react and scare off opportunistic night time thieves. We are security experts and can advise on what really works to protect your family and your assets. Not only is a quality security system an immediate deterrent to potential intruders, but it is also there to protect you when you need it most. 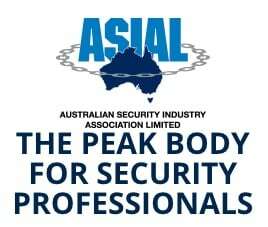 We install residential and commercial security alarm systems across Perth for protection and peace of mind. We tailor our systems around your requirements and have vast knowledge of the best sensors to use in differeing situations. We'll assist you from the design and consultation phase right through to installation and provide excellent after sales support. Our range of available product choices is very large, but we have identified the best and the best value to effectively protect your home. The simple answer to this is yes, Getting a security alarm system makes a huge difference. The reason for this is that most crime across Perth is an opportunistic crime, where criminals see an easy opportunity to take something that isn’t theirs for their own benefit. Now having an alarm system in your property will not give you 100% protection against burglary but it will certainly reduce the incidence of burglary several-fold. When there is a street full of homes that have security alarm systems, you can be assured that persons of criminal persuasion would rather leave your street and find an alternative one to look for easy opportunities. The second thing a security alarm system does is that it reduces the amount of time that a burglar will spend in your home looking for items if your house is broken into. When there is no alarm system, there is no pressure for a burglar to leave the property so they can look more thoroughly through drawers and throughout your house to find saleable items. Of course, an alarm system may not prevent the smash and grab type break-in, leaving valuable items out of sight is the best prevention for this type of theft.